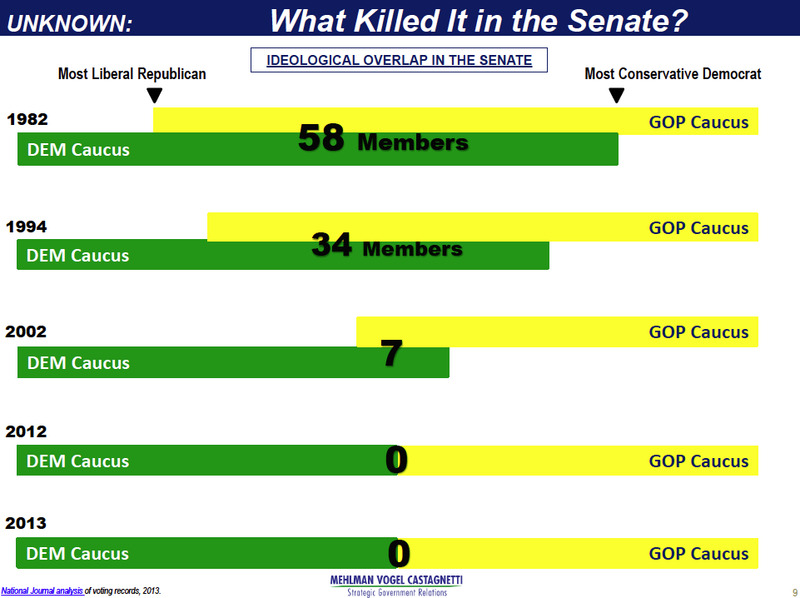 HOMELAND SECURITY A 'RUNAWAY TRAIN'? Is the the Department of Homeland Security growing too big? Is mission creep turning the Department of Homeland Security into a 'runaway train'? Former Secretary of Homeland Security Tom Ridge thinks this may be the case, which you can read about here. 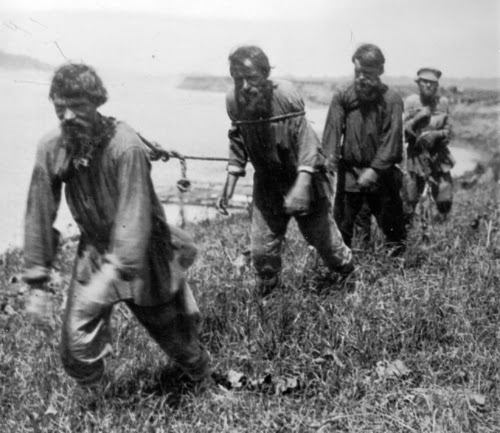 Many Russian peasants weren't much better off than the Russian serfs who came before them. In September I wrote about the return of parish serfdom. At issue is how corporate giants, like Wal-Mart, depend on the state to pick up the general welfare tab for employees who don't make enough money to make ends meet, which incldues eating full meals or paying for personal health insurance. So, yeah, we might have a welfare state that many people despise. And we might even enjoy pointing fingers at those who must apply for indivdual welfare benefits (I don't, but those who do know who you are). But the reality is that in many ways segments of corporate America are paving the way for the return of parish serfdom by paying miserly wages, and then expecting the state to pick up the tab for keeping their employees healthy and fed. This has allowed a small segment of society - like Wal-Mart's Walton family - to become multi-billionaires. There are deep rooted structural conditions that are working to bring parish serfdom back to our world. And it's all built around false choices tied to debt. As the Roman Empire crumbled people were presented with two false choices. Pay increasingly exorbitant taxes to Rome, or become a lowly serf toiling on the land of a feudal lord who offered protection (and demanded much). You have the choice of ignorance, or going into debt for an education (I paid $5 per semester at my local junior college when I first started college). Can't keep up because your job pays near minimum wage, or less? Then credit card debt servitude is your freedom granting option. Don't earn enough to save for a house (or even a down payment)? Then mortgage servitude is for you. The American Dream that we all idealize today was built around a middle-class in the post-war era that could afford to send their kids to public colleges because it was virtually free (by today's standards). Part of that dream was made possible by car and home loans that were funded and managed by local community banks, who worked with you when things got tight. This kind of arrangement was too much for the New Nobility. They had no claim to your wealth producing life. Today, the New Nobility has a financial claim on your wealth through a financial structure built around debt, derivative products, and a shadow banking system that overshadows much of our mega-banking structure. If you have a mortgage, a student loan, credit card balance, car loan, etc. you are obligated to fund the rentier income of the New Nobility. Who are the New Nobility? 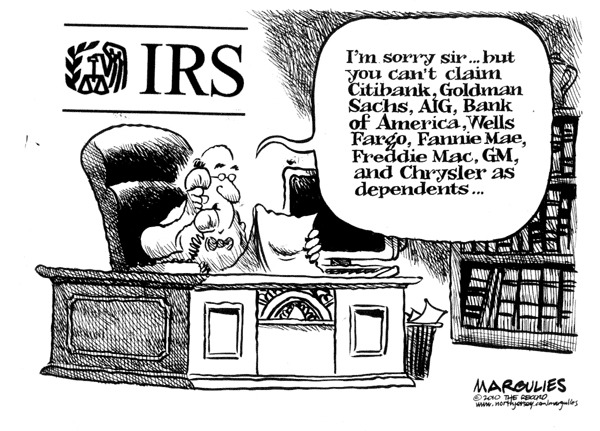 They are the financial masters on Wall Street and the people running the nation's Too Big to Fail banks. 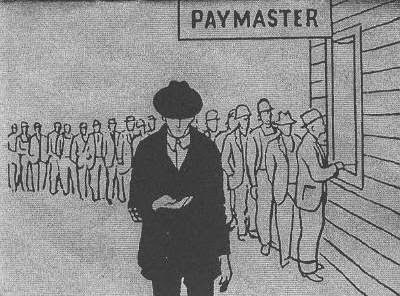 What makes debt peonage today possible is the commodification of assets and debt. Your debt (and assets) becomes commodified when your debt contract is bought, sold, and bet on in a seemingly never ending system of debt-filled pyramid schemes that have no connection to you, or your community (go ahead, try finding who has the note on your home or your second mortgage). Today, most commercial loans are funded, sold, and traded by people you will never know, or meet. A chain of claims to your payments is the only connection you have to this system. 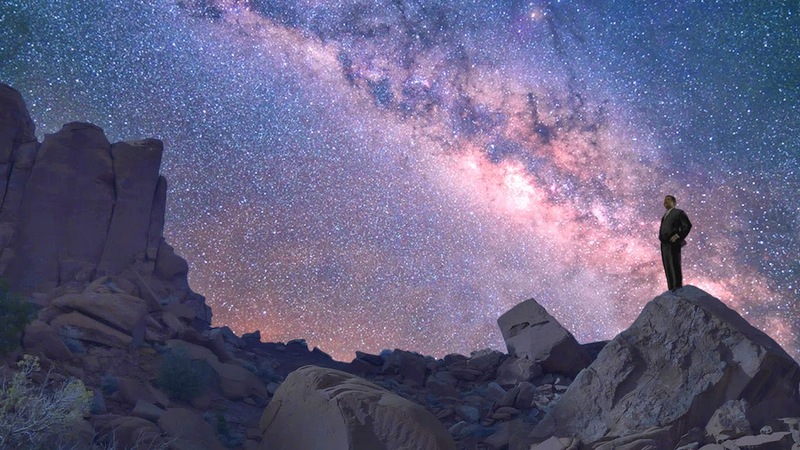 Debt has become the new Philosopher's Stone, and is now courted and encouraged because of the financial products that can be created off of them. Our political class only feeds this mess with calls for more deregulation. For Charles Smith the essence of neocolonialism is the company store that extends credit that can never be paid (which I write about in my book, p 39-42). The neocolonial company store today is our Too Big To Fail Banking structure. The TBTF banking system has been doing especially well since wages have stagnated for the better part of 45 years. This has forced more and more people to borrow and go into debt. When only the top 10 percent have seen their income and wealth expand over the past 40 years - while America's debt-serfs have become increasingly debt drenched - something is wrong in the land of Oz. 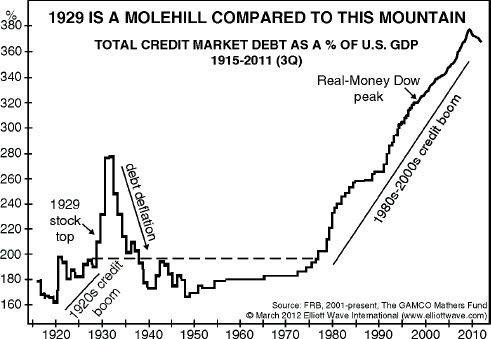 Total debt, as a percentage of GDP, that is held by people, states, and the federal government. 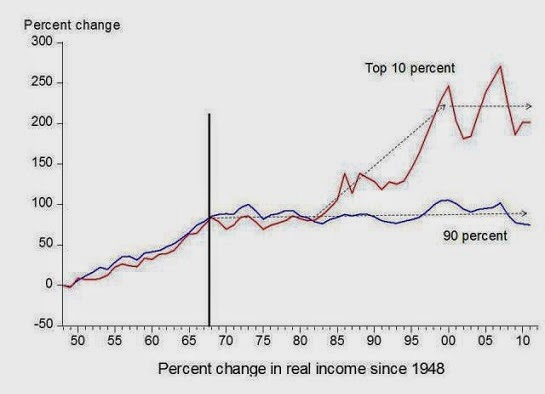 For those of you wondering where the vast majority of income gains have gone over the past 30 years here's a chart. If you're chart-challenged know that over half of all income gains in our nation are going to the top 10 percent (again). 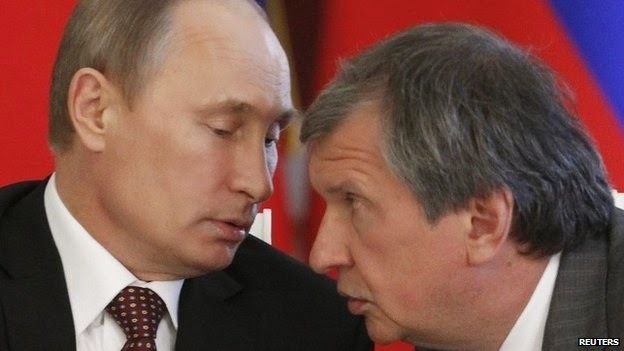 Russian President Vladimir Putin and Igor Sechin, one of Putin's long-term allies and a sanction target. As a result of their refusal to go along with U.S. demands in Crimea the Obama administration has imposed new sanctions on Russia. Well, sort of. The U.S. is going to impose a visa ban and an asset freeze on seven Russian officials, while sanctioning 17 Russian companies. The European Union is expected to follow suit, but will restrict sanctions to individuals rather than companies. Under the new measures the U.S. will deny the export or re-export of defense related technologies or services to Russia or Crimea that contribute to Russia's defense or military capabilities. Here's the problem with the sanctions. Absent the removal of Russian President Vladimir Putin, who has squashed the opposition and neutered the independent media, the sanctions will only serve to heighten tensions between the U.S. and Russia in the immediate term. Put another way, expect military events in Ukraine and Crimea to continue apace. What we need to keep in mind is that Russia has legitimate historical and national security claims in the region, and will continue to embrace and push them. Over the long-term we can expect Russia and China (as well as anxious rogue states) to continue looking for an alternative to the U.S. dollar as the world's anchor currency. 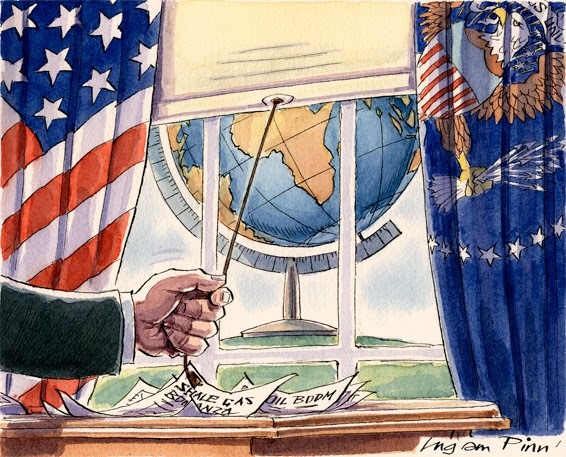 There's more, but the new reality is that the era of U.S. global primacy is now officially over. We are now - as the British were in 19th century - firmly perched as the world's "swing" state. We misallocated resources and embarrassed ourselves in Iraq, and are bogged down in Afghanistan. Our performance in both places, and our paranoid responses at home, are hardly examples of enlightened leadership. Sure, Osama Bin Laden is dead. But at what price? Without a shift in how the U.S. Congress conducts business, or a reversal in the forces that are creating America's growing National Security State domestically, those who think the 21st century can be another American Century are delusional. Did you know that in 1976 one of Apple's co-founders sold his 10 percent stake in the company for $800? 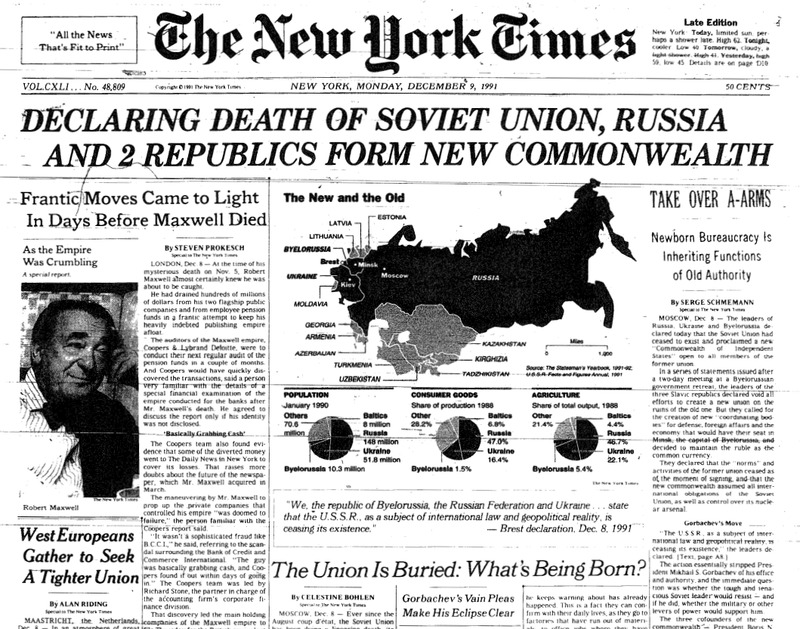 Today that same 10 percent would be worth $35 billion. Neil deGrasse Tyson tells the incredible story of how one scientist - geochemist Clair Patterson - became the unlikely catalyst behind the effort to get toxic lead elements out of our gasoline, paints, and canned good products. But Patterson's efforts - as logical as they might seem today - were stalled and sabotaged by corporate America, which is precisely why this story should be seen and shared widely. Led primarily by the oil industry, corporate America tried to discredit Patterson by arguing that lead was a natural trace element found in nature. This much is true. But Patterson - a geochemist by training - argued that while lead may be present in the environment it was never present at the levels we were seeing in the middle of the 20th century. 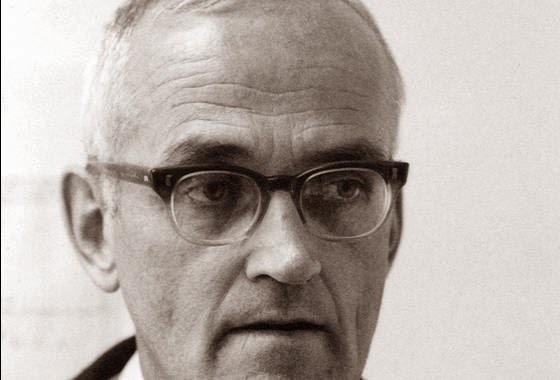 Clair Patterson: Geochemist and CIT Scientist who warned the world about lead contamination. Patterson knew he was on to something, but for years was confounded by the differing amounts of lead he found in his samples. But he had a hunch. 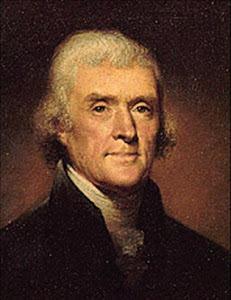 Patterson was convinced that lead was so prevalent in our environment because of the pace of industrialization and because of the amount of lead burned in our gasoline at the time. This helped explain why he couldn't find any kind of lead level consistency in his research. So much lead was being produced and spewed into our environment that it was all around us. Patterson began using clean rooms and continued his search for lead levels through time. 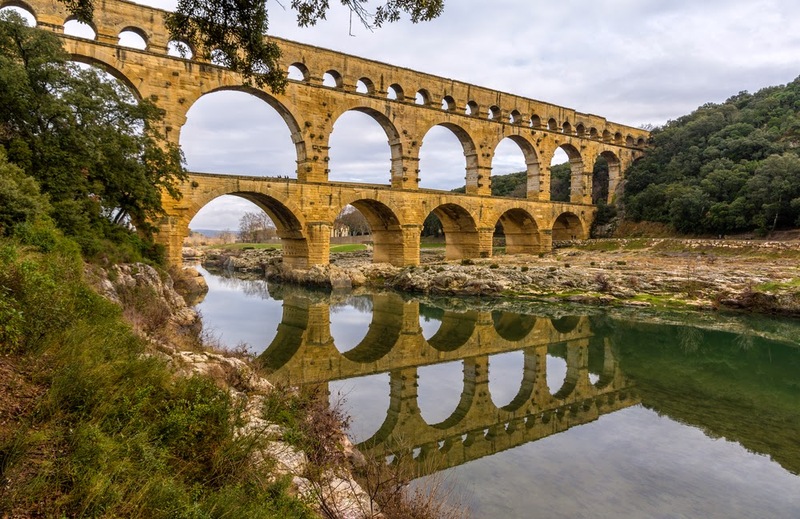 Soon Patterson's research even pushed him into becoming somewhat of an outlier historian, arguing that the fall of Rome could be tied to increased levels of lead in their drinking water. Clair Patterson concluded that lead was a growing toxic poison in our environment. He also concluded that these toxic levels were growing so quickly in the modern world that they threatened humans and animals alike. For his efforts Patterson's research funds from the petroleum industry were cut off. Making matters worse, he was also confronted and ridiculed by the petroleum industry and the experts they hired to make their points (sound familiar?). With federal research grants Patterson continued his research, which included studying ice cores for lead levels over time. This helped him demonstrate that lead levels in our world were growing, and that they were growing because we were putting them into our environment with the products we made and consumed. Patterson's research alone makes his intellectual journey a compelling story. The political and corporate angles turn Patterson's journey into a Good vs. Evil story for the ages. Best of all, Cosmos and their host Neil deGrasse Tyson tell it in a way that non-experts can understand. If you can find the time - and I encourage you to do so - you can watch Clair Patterson's story by clicking here. 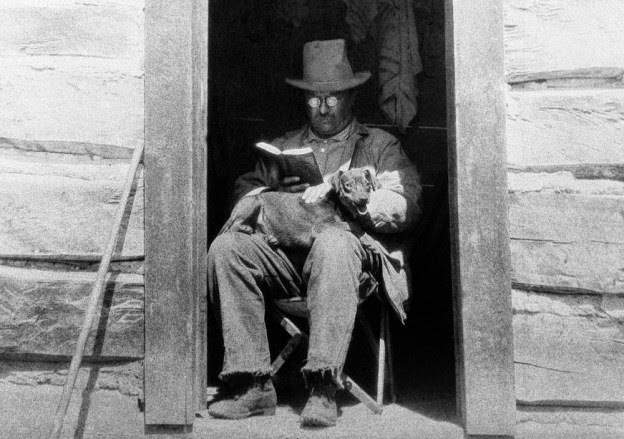 Teddy Roosevelt reading while in Colorado in 1905. Yeah, that's his dog. Bundy's sedition: Armed militia members aiming guns at law enforcement officials in Nevada are domestic terrorists (Buzz Flash). Sound familiar? Australia's 15 percent tax rate on their wealthiest citizens (super contributions) is becoming a fiscal drag on the nation (The Age). This fall it will be legal to purchase powdered alcohol mix which can turn water into rum, vodka, or other alcohol-filled drinks (Discover). Navy researchers have developed a concept model airplane that uses sea water as its fuel source (America's Navy / Discover). Government is now a protection racket for the 1% (Truth Out). How Oligarchy threatens democracy in America (YouTube). How pesticide companies silence scientific dissent (Mercola). Tobacco companies denying links between tobacco and cancer, still (Sydney Morning Herald). 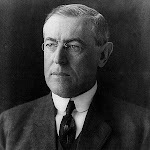 America's biggest banks learned nothing from 2008 collapse and bailout ... except how to speculate on an illusory base of wealth tied to a pile of debt (Shah Gilani / Wall Street Insights & Indictments). 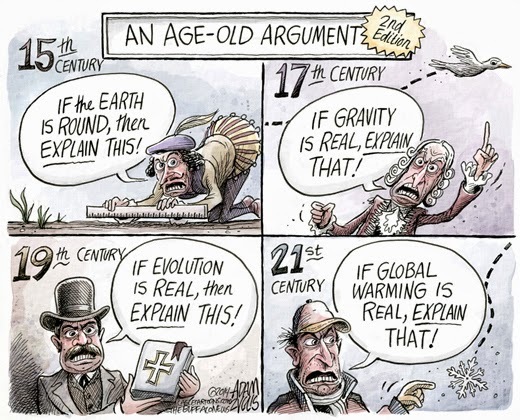 Jared Diamond: We could be living in a new stone age by 2114 (Mother Jones). Turning smog into jewels - a Dutch designer's solution to Beijing's pollution (msn). Elizabeth Warren is the teacher (Esquire). This company has a 4-day work week, pays its workers a full salary and is super successful (Think Progress). Conservatives are scared by this guy who has the facts and advocates a global tax on wealth (Truth Out). On tour with rock-star economist Thomas Piketty (New York Magazine). The pain of austerity remedied by Keynesian policy (Truth Out). Four years after the BP oil disaster, a look back at photographs (Desmogblog). Ten years later questions still surround Pat Tillman's death (The Nation). The school to prison pipeline starts in pre-school (The Nation). The 25 top-paid athletes in the world (ESPN Magazine). The best paid sports teams in the world (Daily Mail). The NFL's 25 greatest quarterbacks of all-time (Athlon Sports). 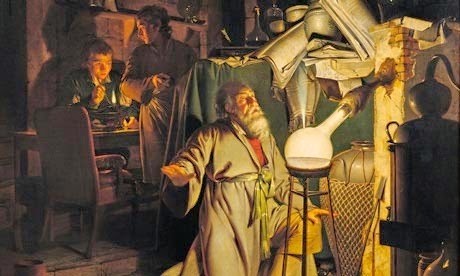 'Crazy' scientists who were ridiculed and laughed at (or worse), but who also turned out to be right (The Raven Spoke). 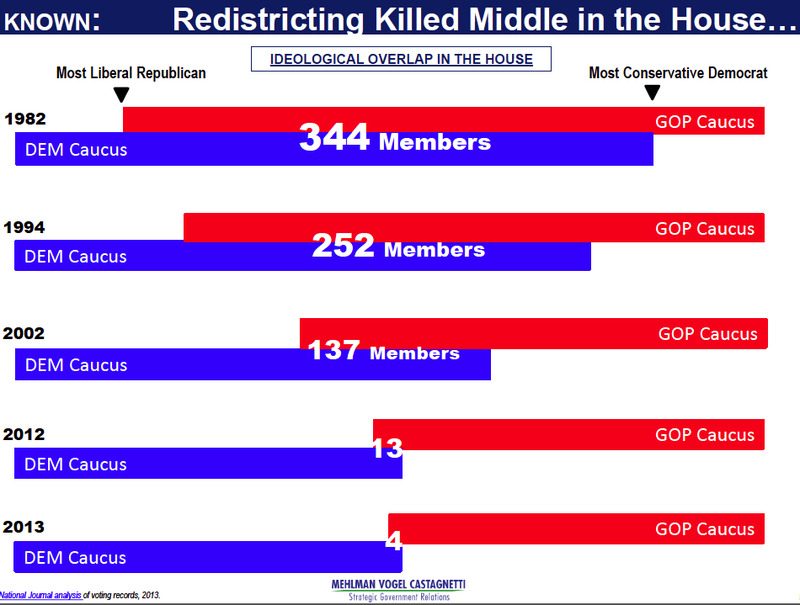 Not for the faint of heart, but definitely information you can use (Gizmodo). He still can't measure up to grandpa ... Adolf Hitler's 'grandson' was sent to prison for 20 years for double murder (GuardianLV). Yes, women prefer complex composers for sexual flings (Discover). Teen stowaway survives 5-hour flight from California to Hawaii in jet wheel well (NBC News). 9 & 10. Wireless Communication and Limitless Free Energy. Contrary to what we are taught in our basic economic courses there is no self-correcting mechanism in our markets. There is nothing that magically guarantees ethical behavior, or that the abundance created in our markets will automatically trickle-down to the rest of us. Leaving market players to work their magic is not a recipe for a prosperous economy or a healthy society. Instead, according to French economist Thomas Piketty, when market players get their way history tells us that small groups of wealthy people come to own or control an inordinate amount of society's resources. This has been the trajectory of our markets and society since the early 1700s. 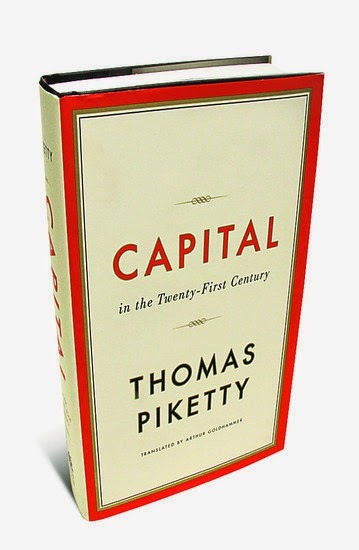 Piketty argues in his new book, Capital in the Twenty-first Century (which Jeff Faux discusses here), that rather than leveling the playing field capitalism not only fails to reduce inequality, it actually increases it. The only time this disturbing trend was not our reality was when we rebuilt the world order with an eye toward equality of opportunity during the 20th century. But it took two world wars, a Great Depression, and a looming cold war for world leaders to turn away from the dystopic laissez-faire economic models promoted by the followers of Adam Smith. 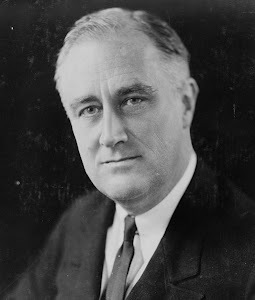 In its place post-war leaders embraced a progressive policy agenda. This included steering resources, income, and power away from manipulative market players and towards democracy's middle-class. The immediate goal was to turn American-style democracy into a showcase for the world to see. 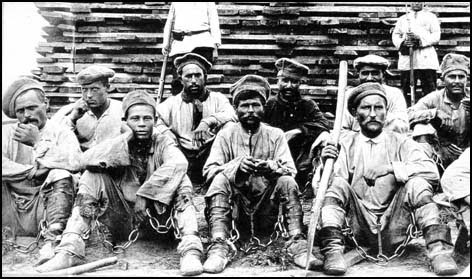 The long-term goal was to eliminate the economic conditions that encouraged socialist revolution in Russia in 1917, and then allowed the serpents of Nazism to rise in Germany in 1933. As I pointed out in my book (p. 164), economic recovery and global stability in the post-war era were deemed too important to be left in the hands of rogue market players. The legacy of these post-war policies was European recovery, stability and prosperity in Germany and Japan, and the eventual collapse of the Soviet Union. 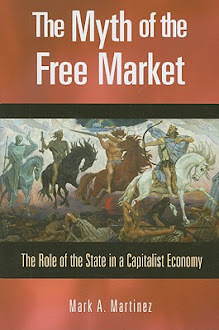 During this period market regulations eliminated the terms "market meltdown" or "economic depression" from our language. Taxes were progressive and invested in education and infrastructure projects. Safety nets helped lift people out of poverty, while reducing anxiety and uncertainty in society. At the same time organized labor was embraced by liberals and conservatives alike. During the late 1970s we lost track of history and our sense of what actually made our markets flourish after World War II. 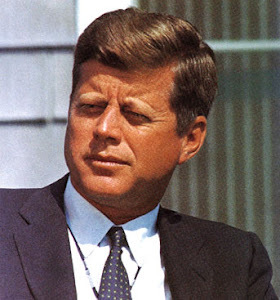 Vietnam, Watergate, and OPEC only complicated things. We panicked over a world that was both changing and challenging the West. So, oddly, we began unraveling our post-war social contract in the 1980s. 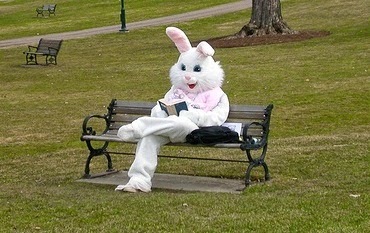 We came to believe, against all reliable evidence, that rich people needed more money, which meant generous tax breaks. 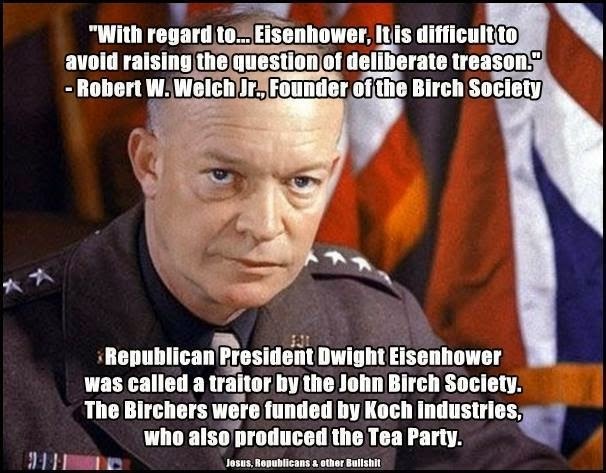 The flip side of that coin was to wage war on poor people instead of attacking the sources of poverty. 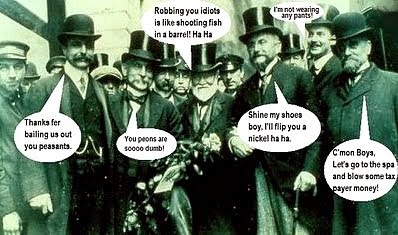 Bailouts and favorable legislation became the name of the game. 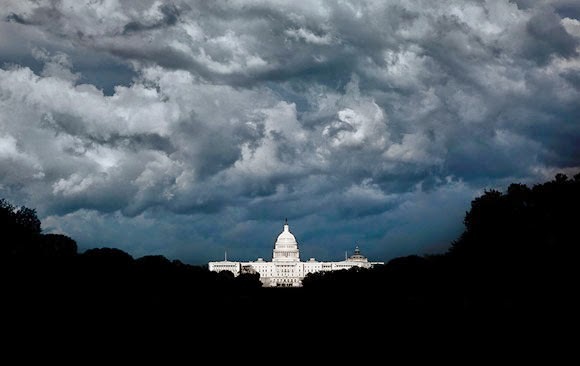 Today compromise is a dirty word in Washington, D.C.
Economic and political storm clouds have been hanging over America ever since. Today the financial elites have taken control, with more than half of all current members of the U.S. Congress now categorized as millionaires. Taking note of this, one Princeton-Northwestern university study argues that the United States is now an oligarchy; a democracy in name only. One thing is clear according to Thomas Piketty. Unless we change how we look at markets and market players today - and find a way to reign them in - we are headed for more inequality and increasing wealth gaps in America. As you might expect, the oligarchs will continue to thrive in this environment. I'll be discussing all of this in my next book, which I'm going to finish this summer. Cliven Bundy Syndrome: Why Christian conservatives think they're above the law (Salon). After banks (with their wealth extracting swap deals) and corrupt politicians pushed Detroit into bankruptcy it's the city workers who end up paying the tab (Think Progress). Feudalism 2.0 ... this is the dystopic Libertarian vision that the Koch brothers want to impose on America (Bernie Sanders). Rep. Marsha Black (R-TN) claims, against all evidence, that Republicans have 'Led the fight for women's equality' (Huffington Post). Huh? ... Phyllis Schlafly claims that if women were paid the same as men that "simple arithmetic suggests that half of women would be unable to find what they regard as a suitable mate" (Christian Post). Female CEO of a San Francisco based start up (Locket) says man told her that he would take a job if she slept with him (Medium / Think Progress). Female governor of Oklahoma bans minimum wage increases and paid sick leave laws (does that include maternity leave?) in an effort to look pro-business (Think Progress). Obamacare enrollment hits 8 million (Nation of Change). CBO Report: Obamacare will cost less than projected, while covering uninsured 12 million people by the end of 2014 (Huffington Post). The "medically uninsured" gap between states that have embraced Obamacare and those who haven't grew by more than 2 points in one year (Think Progress). This 32-year-old Florida woman died because her state refused to expand Medicaid (Think Progress). Does the corporate tax rate of 35% really hurt the U.S. economy? No (247 Wall St). 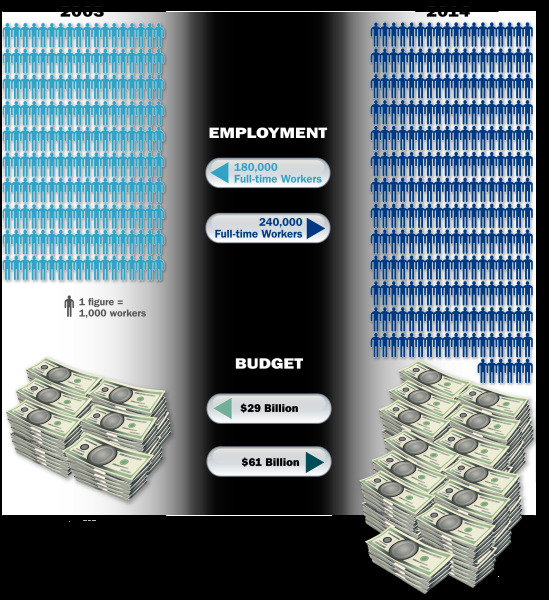 Thanks to women in the workforce, the economy is 11 percent bigger ($1.7 trillion) today than it would have been if we had the same contributions we had in the 1970s (Think Progress). The Reckoning: All evidence points to the U.S. economy failing in 2014 (SHTF Plan). What happened to fast-food workers when San Jose raised the minimum wage (Wall Street Journal). Senator Bernie Sanders provides a sweeping overview of what's wrong with our economy and society (Upworthy). Things that make you go Hmmm ... like rigged markets (all of them) (Zero Hedge). 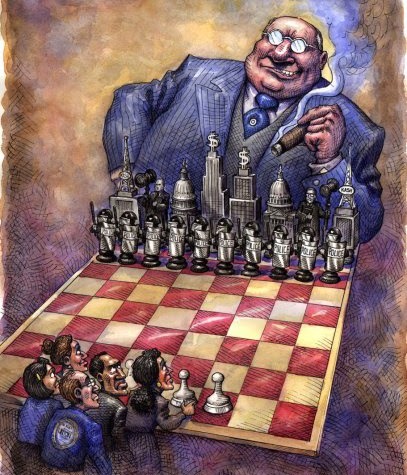 Antitrust in the new Gilded Age (Nation of Change). 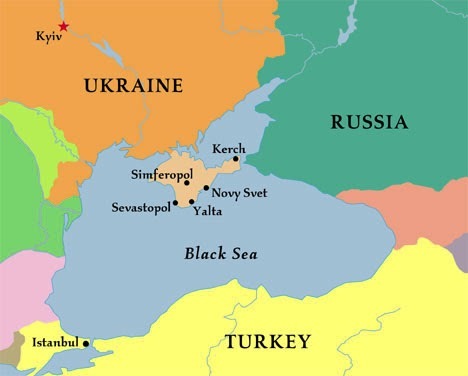 After propping up Europe with billions in currency swaps the U.S. Treasury will pay half of Ukraine's energy bill - owed to Russia's Gazprom - with $1 billion in loan guarantee (Zero Hedge). Pele and Ronaldo meet on a plane ... actually in a commercial (sport.uk.msn). This Republican plan to win the Latino vote explains why the GOP will continue to lose the Latino vote (San Diego Union-Tribune). Nine countries that hate the United States the most (247 Wall St). White House admits that CIA director was in Kiev, Ukraine over the weekend (Huffington Post). Death spiral? One Harvard professor is suggesting that up to one-half of U.S. universities could fail in 15 years (Zero Hedge). This is a must watch for anyone concerned about democracy in America. Senator Bernie Sandars (I-VT) presents a sweeping and compelling overview of the absurd wealth and income gaps in America, and what it means for our nation's future. 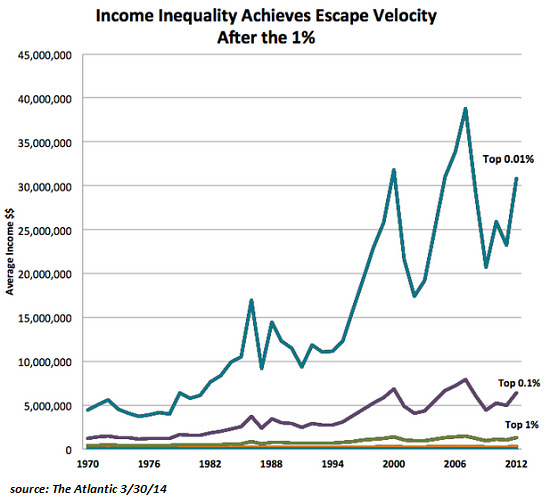 Almost two years ago I wrote a post explaining how we redistribute wealth in America. I wrote it in response to claims by the GOP and numerous other conservative groups that the poor and the unemployed don't need help. Their rationale? America is not a nation that redistributes wealth. 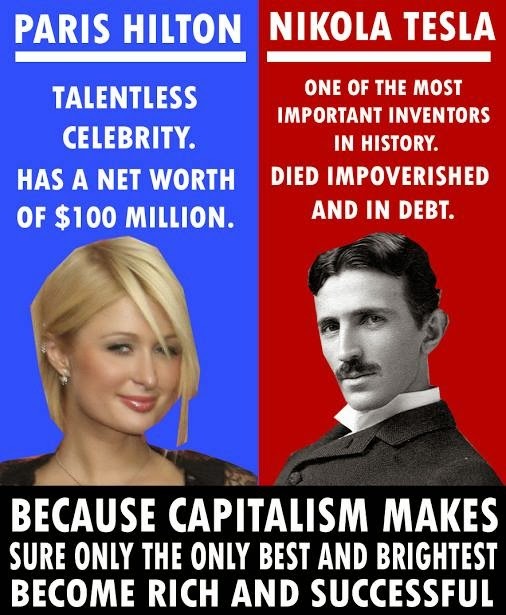 People should work and pull themselves up by their own bootstraps. This was an easy topic to write about because, well, the United States has been redistributing wealth for a long time. 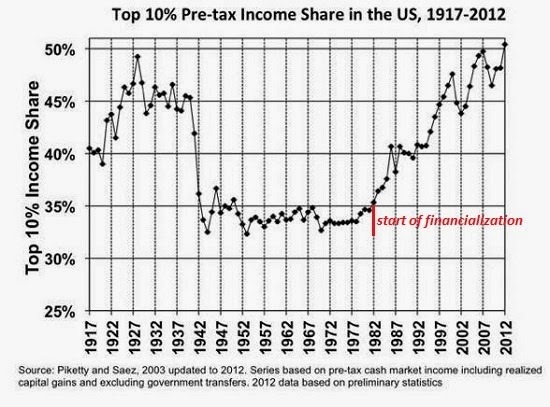 In fact, we've been redistributing wealth for such a long time that we've been able to track the process over time. We can actually see who pays and who takes from Uncle Sam. 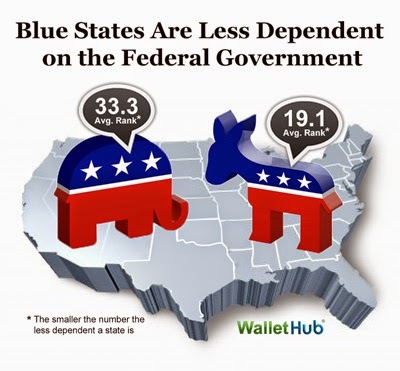 An updated study helps make it very clear that those yelling the loudest about people mooching off the system are living in states that receive the most government funds. Let me restate that. 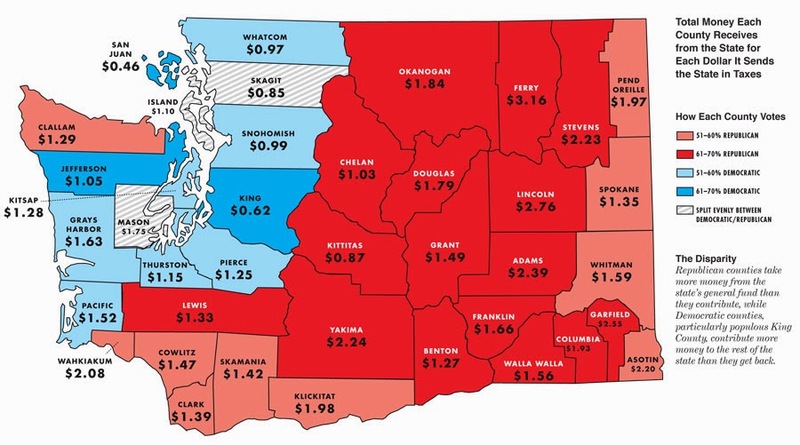 There's another study out that shows, once again, that the most conservative Red States are still mooching off those of us living in the Blue States. According to the survey, for example, for every dollar that California sends to the federal government we only get about 94 cents back. 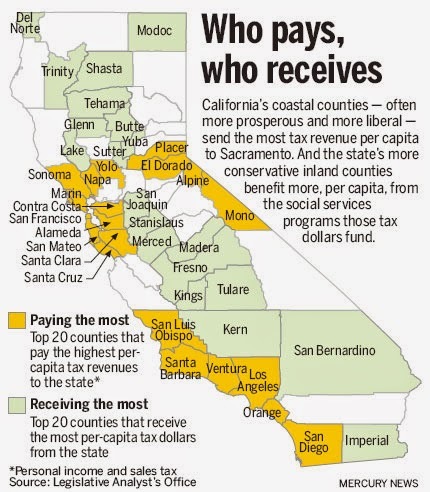 This is an improvement from the end of 2009, when the we learned that over a 20 year period the federal government kept over $330 billion in federal taxes that Californians sent in (which was used to prop up those living in the Red States). This story is so glaring that even the conservative Wall Street Journal couldn't ignore the federal redistribution of wealth to the Red States story. UPDATE (10-22-14): Here's another list of the 10 states that are most dependent on the federal government for financial transfers. 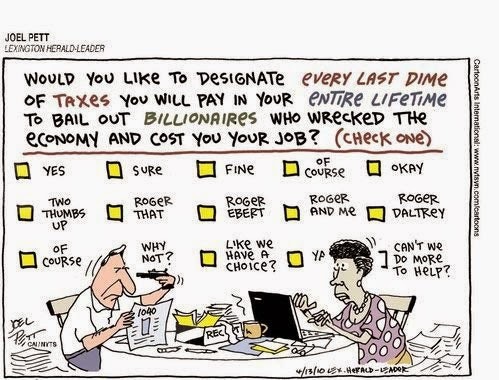 Tax logic ... if we were doing it right. 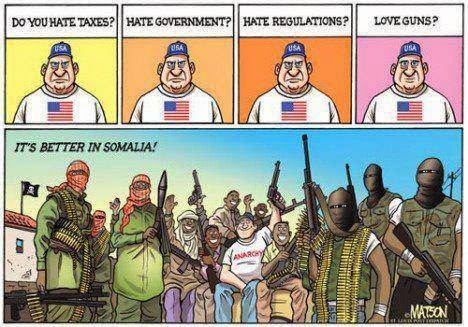 Tax logic for the Tea Party? Tax options ... for the middle class after 2008. 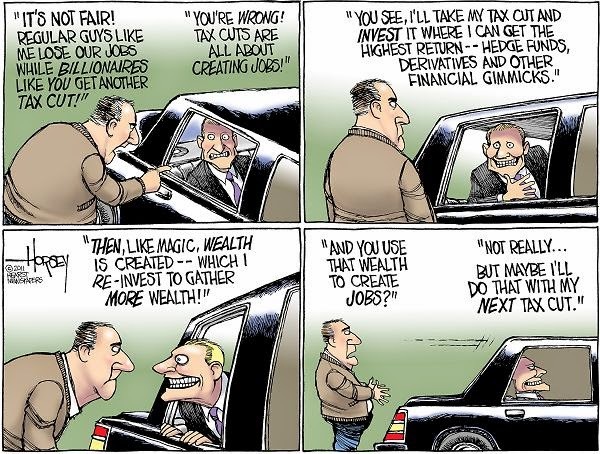 Tax logic for the rich. Diver swimming between two tectonic plates in Iceland. 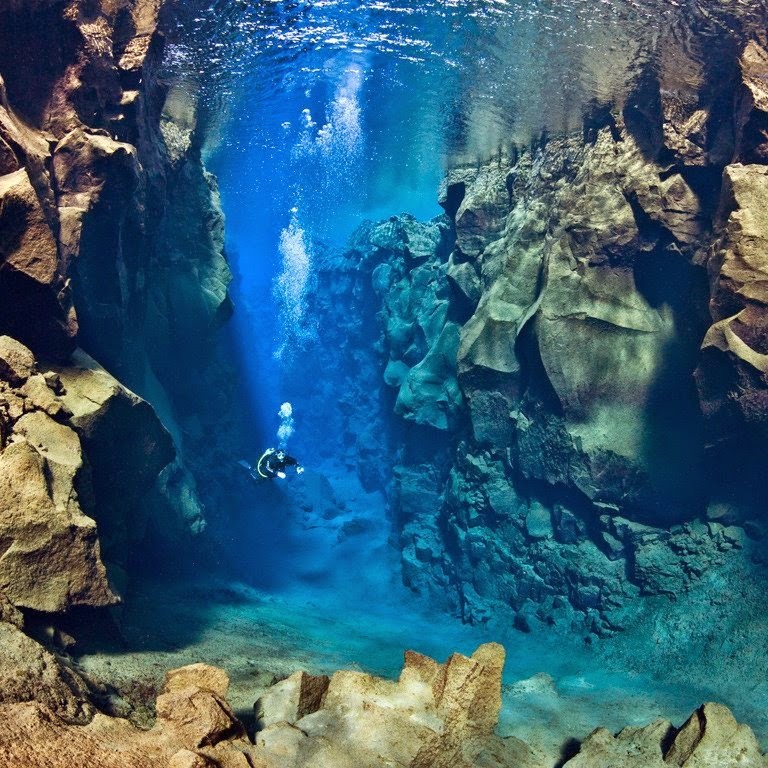 The Silfra fissure, is known as one of the top dive sites in the world two main reasons. First, the Silfra fissure is actually a crack between the North American and Eurasian continents, meaning that you dive or snorkel right where the continental plates meet and drift apart about 2cm per year. Silfra is the only place where one can dive or snorkel directly in the crack between two continental plates. Secondly, the underwater visibility in the Silfra fissure is over 100 meters, which creates an underwater experience that will rarely, if ever, be surpassed. The reasons for this astounding water clarity are twofold: the water is cold (2°C – 4°C year round ) as it is glacial water from the nearby Langjökull and this water is filtered through porous underground lava for 30-100 years until it reaches the north end of Thingvellir lake, seeping out from underground wells. The Silfra water is as pristine as water can get and you can drink it at anytime during your dive or snorkel. For some (almost) equally cool pictures of the Silfra fissure click here. Hat tip to Donna for the picture. After getting a $100 fine, the owner of the BMW eventually drove the car away with two broken windows and a dent on the side. 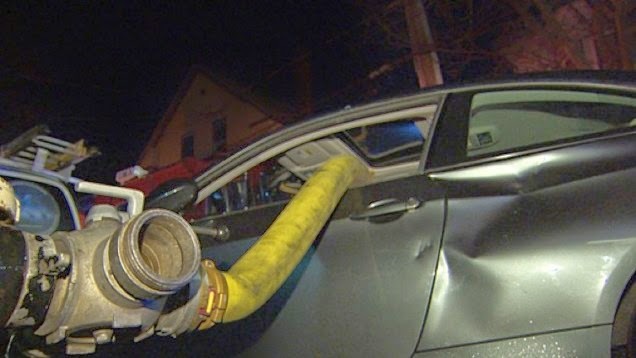 A friend of the car's owner said that he "was mad." I suspect that he's not going to be any happier when he tries to get his insurance company to pay for this.